I love vexento's music I want to share it with you, so I made this account. I'm uploading music by vexento & maybe others. And maybe might do a competition and a game once in a while! 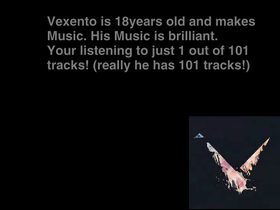 Hope everyone has fun listening to vexento's music! !